St. Francis of Assisi Catholic School’s curriculum is designed to meet the spiritual, intellectual and physical needs of our students. We provide a demanding, yet well balanced education with a strong emphasis on academics that highlights both traditional and 21st-Century skills. Partnered with the belief that children are individuals created in God’s image, a respect for self and others is integrated throughout each lesson, and ultimately our students develop into self-disciplined, productive, moral members of society. All teachers are credentialed and exceptionally well qualified to teach in their field, and over half hold advanced academic degrees. The St. Francis of Assisi math program is standards aligned. Emphasis is placed on the mastery of basic facts, computation skills and problem-solving strategies in relation to concepts that include; Numbers and Operations, Measurement, Geometry, Algebraic Concepts, and Data Analysis and Probability. Students engage in a variety of hands-on, individual, and collaborative activities in order to develop a solid foundation for further mathematics education and use in everyday life. Extensive support and enrichment opportunities are provided to complement the learning styles and development of all learners. The Integrated Language Arts programs at St. Francis encompass reading, composition, spelling, grammar, usage, speaking and listening. Students acquire competence through effective use of oral and written communication across the curriculum. The love of reading is nurtured through the use of authentic children's literature. Units of study are organized thematically. Instruction in phonics and other traditionally successful reading and language arts processes are an integral part of the program. Writing portfolios, skills tests and other forms of performance assessment are employed to measure progress. 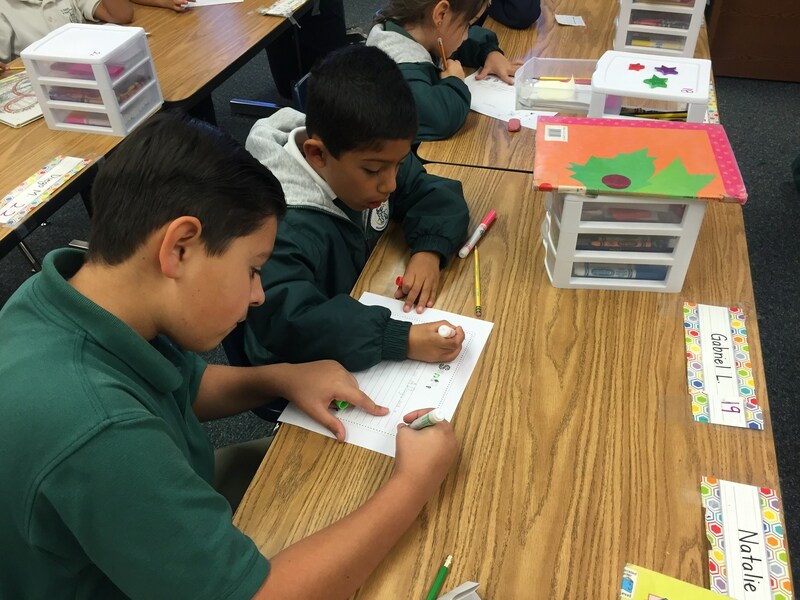 To nurture our students’ writing skills, St. Francis of Assisi Catholic School uses Step Up to Writing, an intensive lab for kindergarten through 8th grade. The program follows a continuum that teaches critical skills such as writing topic sentences, editing, proofreading and more. These tools help students successfully create essays, research papers and theses. 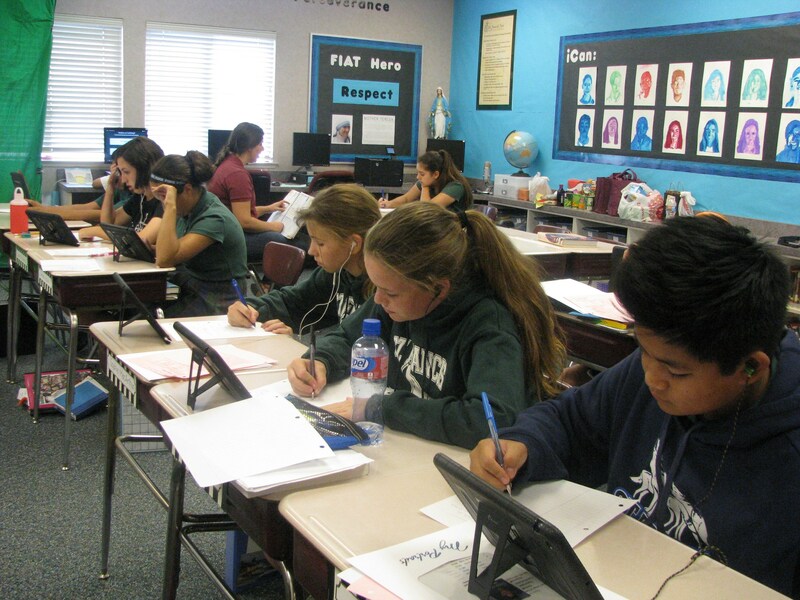 The St. Francis of Assisi social studies program offers students the opportunity to acquire a basic understanding of the fundamental concepts and disciplines of anthropology, economics, geography, history, political science and sociology. Lessons progress from the exploration of the community in primary grades to that of the country and world in the intermediate grades. 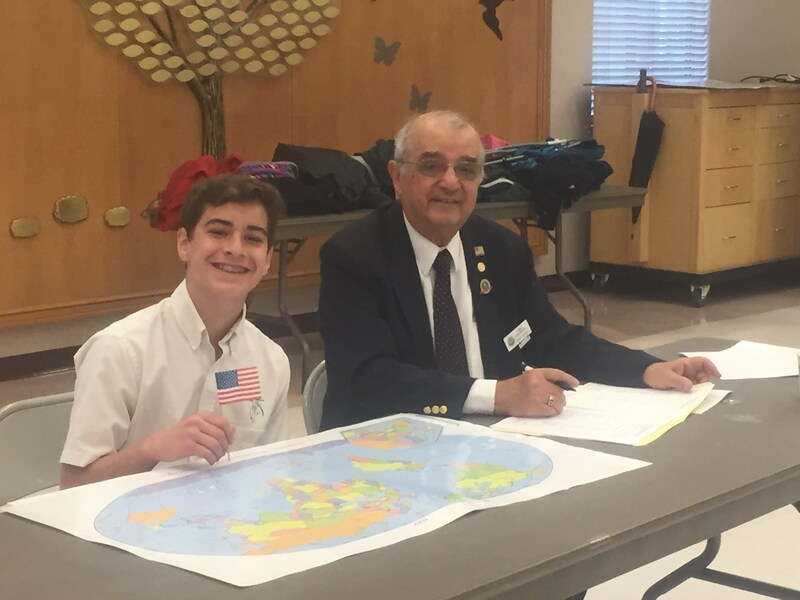 Citizenship skills and democratic principles are celebrated and reinforced throughout each level. 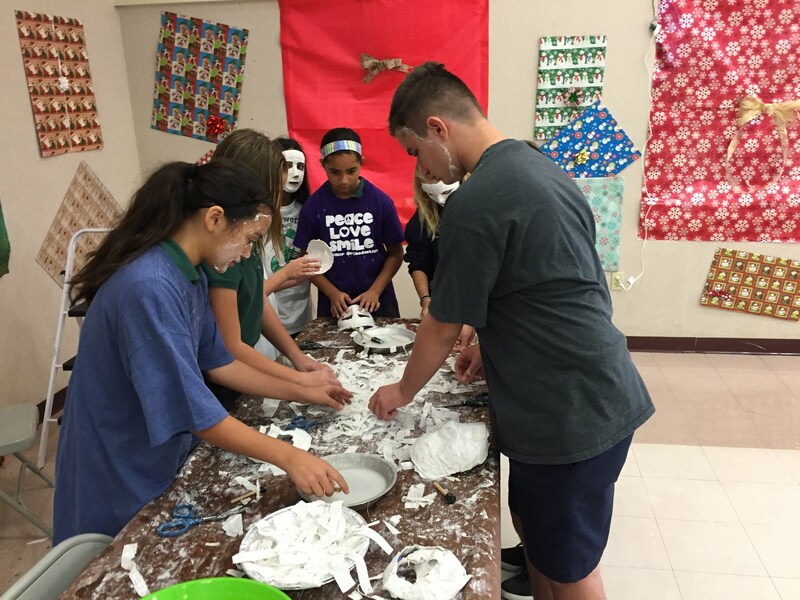 The elementary science program is taught through a process or “hands-on” approach. It emphasizes a laboratory method of instruction that focuses on ways of developing basic skills in the processes of science. The methodology includes skills, centering on observing, classifying, measuring and predicting, as well as others required for scientific investigations and ways of processing information. 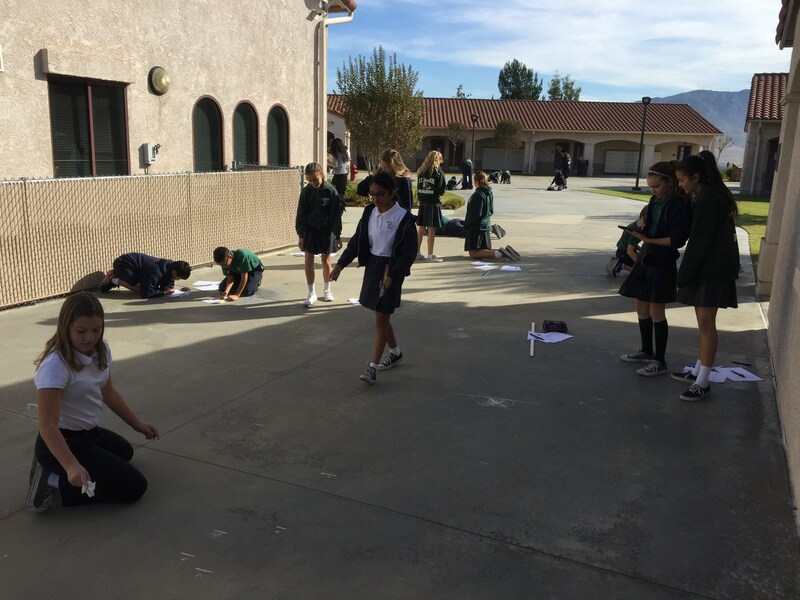 Students in this program are provided with skills and knowledge that will serve as a springboard for future exploration of sciences as they progress through St. Francis of Assisi Catholic School. They also acquire skills which are needed to apply concepts and utilize knowledge in a purposeful way. At the middle school level our science lab is equipped with the tools necessary to incorporate NGSS standards with a focus on STEM. This dedicated classroom gives our students invaluable hands-on experiences and opportunities to explore. 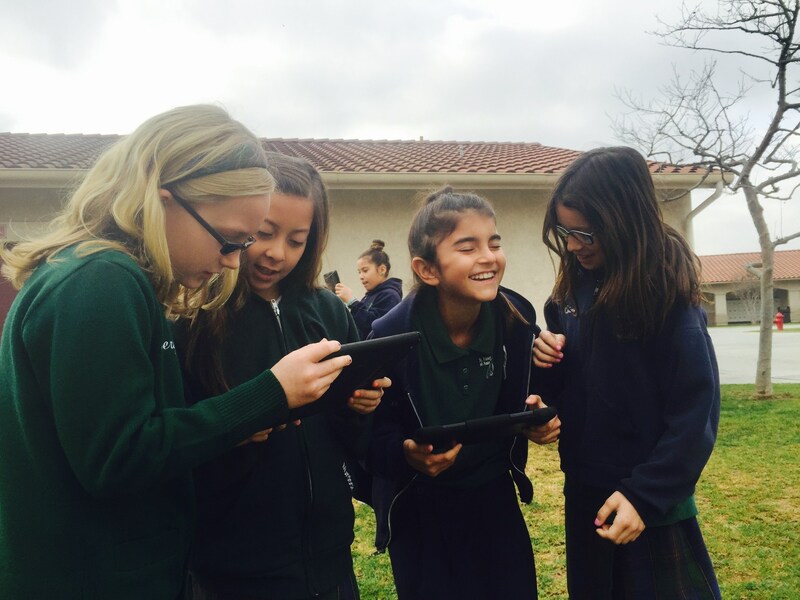 St. Francis of Assisi Catholic School’s Innovation Center is an example of our commitment to 21st Century learning. Outfitted with 30 iMac computers with the latest Apple, Google Suite, and MS Office software, the technology lab is an invaluable resource that provides students with relevant training and skills that will serve them well in high school, college and the workplace. The recording studio and flexible collaborative space allows students to develop their skills of collaboration, communication, critical thinking and creativity. Students can explore coding and robotics and discover ways they can make a difference in the world through technology! St. Francis of Assisi Catholic School is pleased to offer Meet The Masters, an art history and art appreciation program intended to acquaint children with the world of fine art. Meet the Masters seeks to cultivate a sustained awareness and interest in art by exposing children to selected prints. The Physical Education program at St. Francis of Assisi Catholic School is an active, fun, energetic, and challenging. 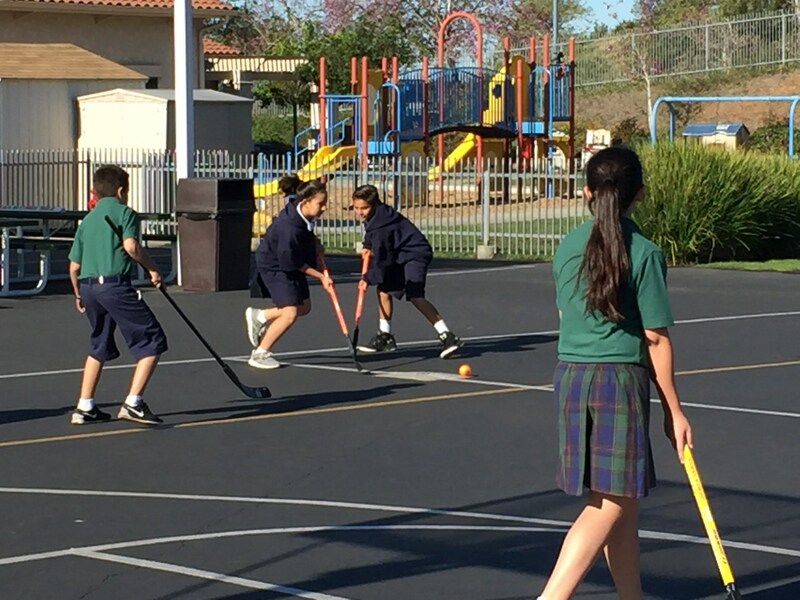 The class is often filled with music and happy voices where each child is offered a broad range of individual and team sports and skill options such as street hockey, volleyball, track and field, softball, basketball, soccer, flag football, and cooperative games and challenges. The program is in compliance with the California State Curriculum Standards and also includes grade appropriate lessons in nutrition, physiology and health. Focus is placed on establishing and improving individual fitness levels. Students also participate in the Presidential Youth Fitness Program which emphasizes the value of being active in school and for a lifetime through national standards and grade level outcomes for physical education that are designed to develop physically literate individuals. We recognize and value that students who attain fitness levels within the established healthy fitness zones will make further academic achievements in the classroom. 5th - 8th graders at St. Francis of Assisi Catholic School learn Spanish from Conversa teachers. 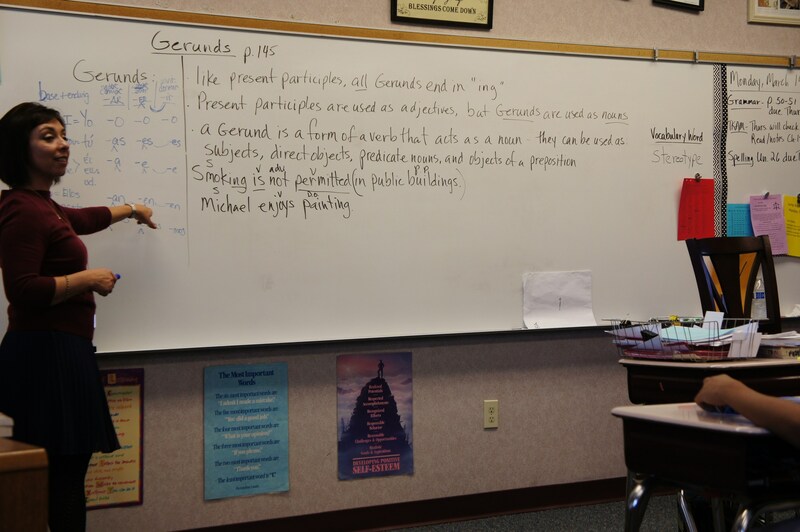 They integrate culture and language to bring Spanish alive in the classroom. Beginning with an understanding of the relationship between letters and their sounds, students then move to vocabulary, pronunciation and correct sentence construction, all to build a strong foundation for future language learning. Students in Pre-kindergarten through 5th grade enjoy weekly music classes at St. Francis of Assisi Catholic School. The program teaches rhythm through singing, body movement and playing instruments. All music students perform in the Christmas Program, and Show Choir members participate in the Diocesan Choral Festival and St. Martin de Porres Choir Festival at Christmas. All grade levels have access to the St. Francis of Assisi School Library at least once a week. Shelves are stocked with a variety of fiction, non-fiction and reference literature, which are sectioned by grade level curriculum. The library also offers iPads with encyclopedias and software for research projects. With a full-time librarian and parent volunteers, the library is a great place for students to indulge their love of reading.